Delivered a training management system that enables comprehensive internal training for 6,000+ employees, and fully managed courses for external businesses and individuals. Prior to our partnership, the London Leisure College struggled to maintain a clear overview of courses, resources, trainers and learners. Given the amount of training required, this meant it was difficult and time-consuming to ensure that each employee was fully compliant. 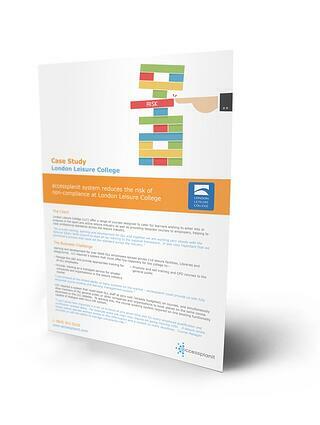 Get your free case study today, and explore how we helped London Leisure College transform course bookings.